Well now, this is interesting. I know that Yahoo embraces OSS since the underlying mail service under their Yahoo Mail product is Qmail. But try checking out their music casts. 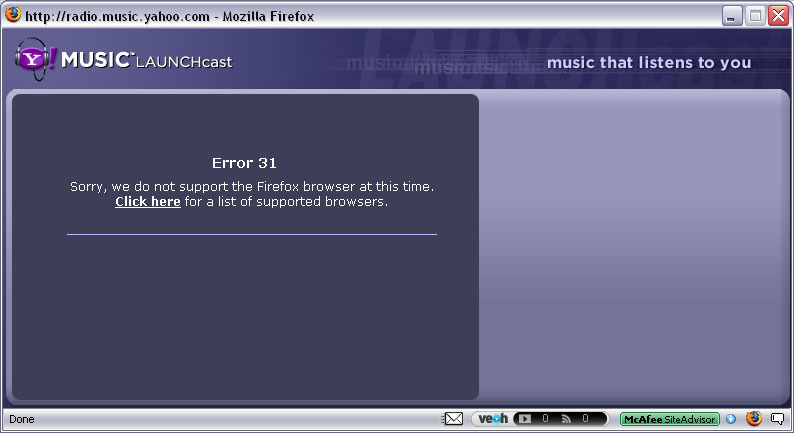 I recall that in the past they worked with Firefox. I’ve been noticing a lot of sites now enforcing the use of Internet Explorer. 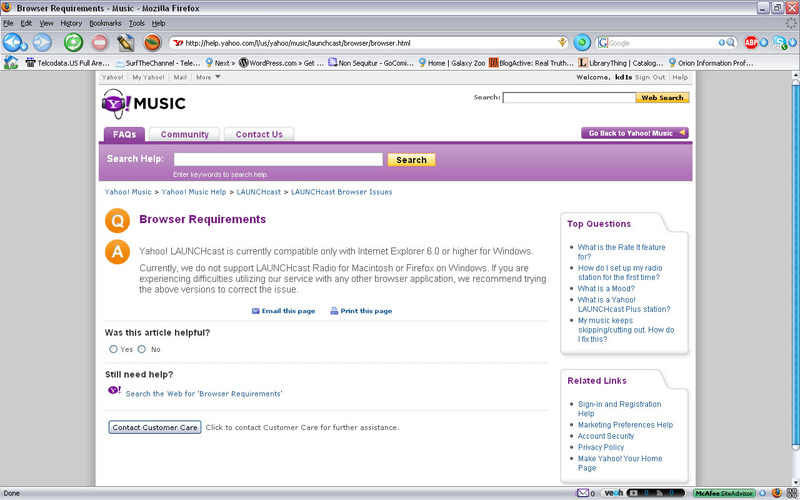 I’m sorry but Firefox now represents a large portion of the browser base, and it should be supported. Or could it be that Microsoft’s crappy net services are now defined as the standard? In any case I smell an anti-trust rat here against Microsoft. which features to add to our services. We have forwarded your comments to our development team for review.